Fashion, food and fun straight from Hong Kong to you! Get ready for a huge and I mean HUGE photo dump from a quick weekend trip to Hong Kong. 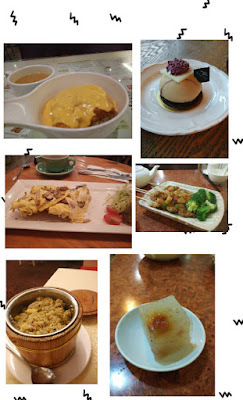 This post is all about characters, mascots and food I saw while in Hong Kong. 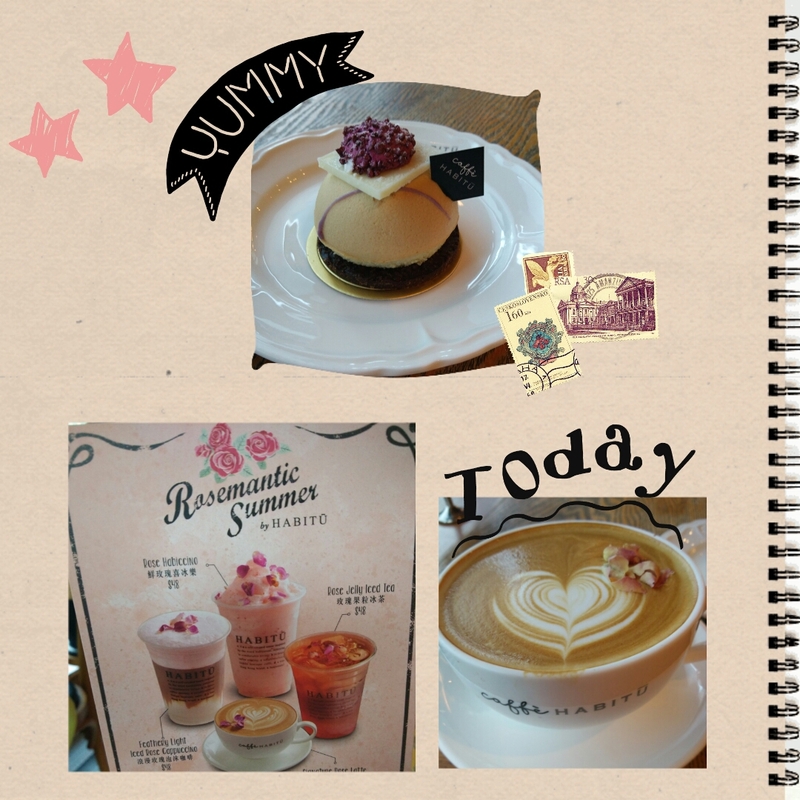 Hong Kong food is really strange IMO, but you can never go wrong with coffee and sweets. HABITU coffee in Tsim Sha Tsui is a lovely place to stop for a midday treat. I found this robot was guarding a mall in Tsim Sha Tsui. Near the K11 mall, B. Duck was celebrating his 10 year anniversary! Gudetama is super popular in Hong Kong right now. I found this bookstore off of Nathan road that had many Gudetama books and items. Another lovable Japanese mascot, Kumamon is being used for advertisement. Street Fighters go for snacks in Monk Kong. This van looks so yummy! Back to school supplies were a focus of many shop displays. 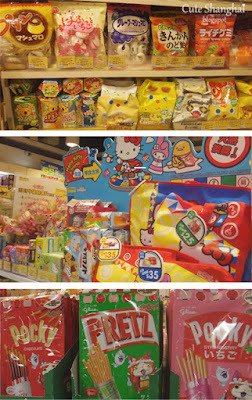 It seems like Hong Kong can't get enough of Sanrio character goods. I found this cutie in Monk Kong. Near Prince Edward station, you'll find several cool markets. I went to a "children's market"... no they don't sell children there! It was filled with toys, stationary and cute home goods. The toy market near Prince Edward station was amazing! Gudetama cafe in Tsim Sha Shui on Nathan Road. OMG it was packed! The wait time was over 2 hours!! In "Kidult Land" I found this cute thing. Yikes! I didn't recognize any of these comic stars. If you know, please tell me in the comments below. 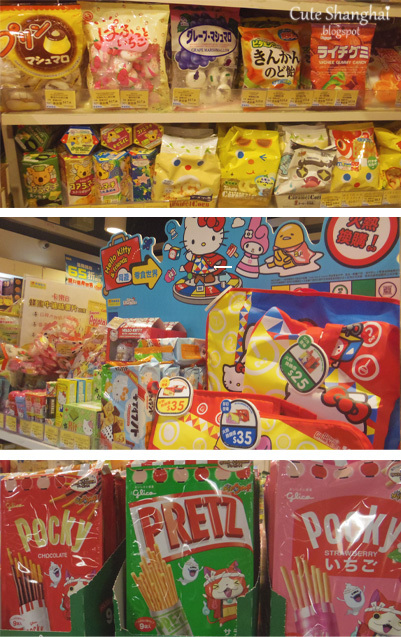 Okashii Land is a small convenience store shop in the metro stations. They have all kinds of yummy snacks. vegetarian (vegan and ovo/lacto/pesca) food is pretty easy to find in Hong Kong. 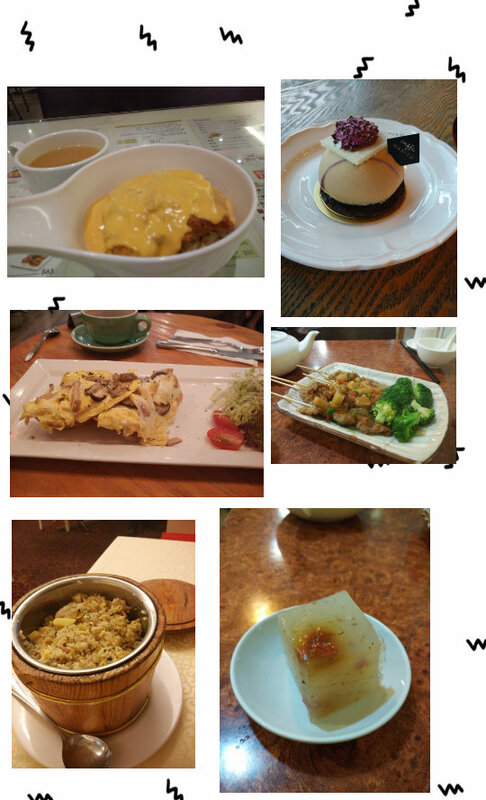 The top left is the "weird HK food I mentioned". It's instant noodles, American cheese with lobster sauce. Why would you serve instant noodles at a restaurant!!?? I hope you all enjoyed this look at Hong Kong. for giving me lots of ideas on where to go in Hong Kong. Her blog is amazing! Don't miss Part 2. It'll be all about fashion and shopping in Hong Kong!